Jean-Pierre Braganza has just showed one of the best collections of the whole S/S 2013 season, highly praised, among other things, for the spectacular prints and clever asymmetric cut. One very special and surprising thing about this collection is that it was made in collaboration with Ukrainian artist and designer Zinaida Lihacheva. In his own words, Braganza “incorporated the artist’s unique aesthetic into his prints“. He also pronounced Lihacheva his muse and will travel to Ukraine to show this collection at Mercedes-Benz Kiev Fashion Days in October. “My idea does not require any explanation – everyone will find his own answer,” said Zinaida Lihacheva about her Transformation art project, presented at the First Kyiv biennale of contemporary art ARSENALE 2012. These words can be used not only to describe this particular project but as a key to her overall creative vision. 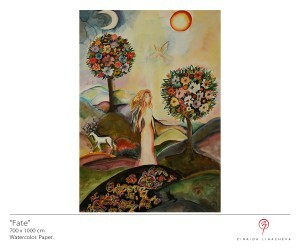 Lihacheva began rising to fame in 2010 when two landmark events took place – her first personal art exhibition of watercolor paintings and the presentation of SunLight collection at Oxford Fashion Week. It was the time when her ideas about putting ethnic elements into ultra-modern context took shape. 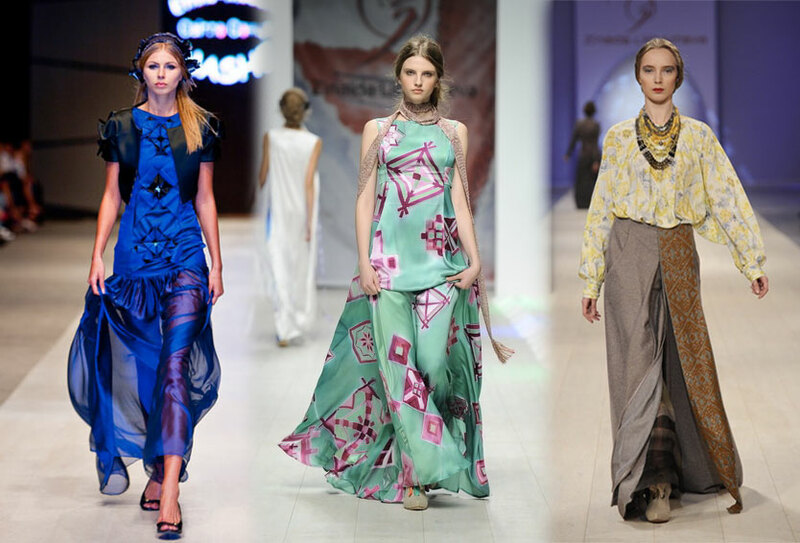 Her fashion designs often reference traditional Ukrainian costume – its cut, color palette, embroidery and fabrics. 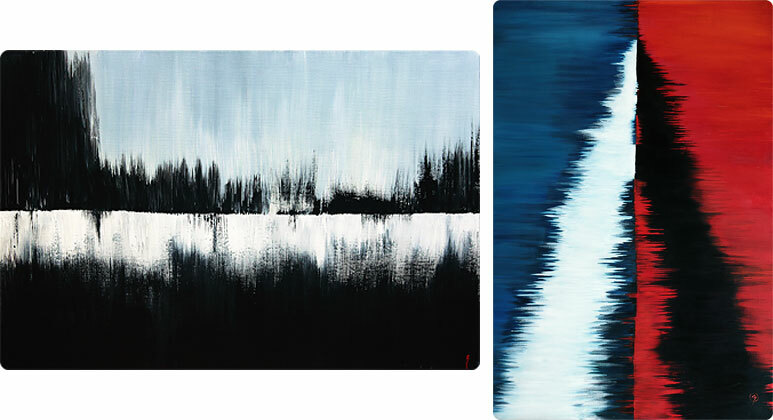 She keeps the silhouettes very natural, flowing, yet precise. During the last two years Zinaida Lihacheva focused on art projects: performances, installations and sculpture, mixing different media and incorporating handmade fashion objects into her artworks. 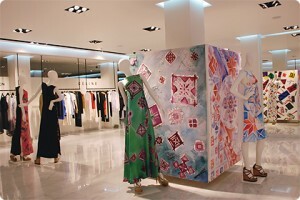 For example, the installation Uzor Art, showed at Art Monaco, featured paintings and clothing printed with the same ornaments using batik technique, while the performance SHE featured models dressed in Lihacheva’s designs. The enthusiasm and praise expressed by Jean-Pierre Braganza in his interview with Diane Pernet makes me think that this collaboration wasn’t a one-time deal. Where do you think it will lead them? What a great article! I have to admit that I was not aware of Zinaida Likhacheva and her work, but that made reading even more enjoyable. It’s rather inspirational to see how artists and designers come together to create fashion-art and art-fashion, as it is often a technical challenge to merge artistic prints with fabrics. 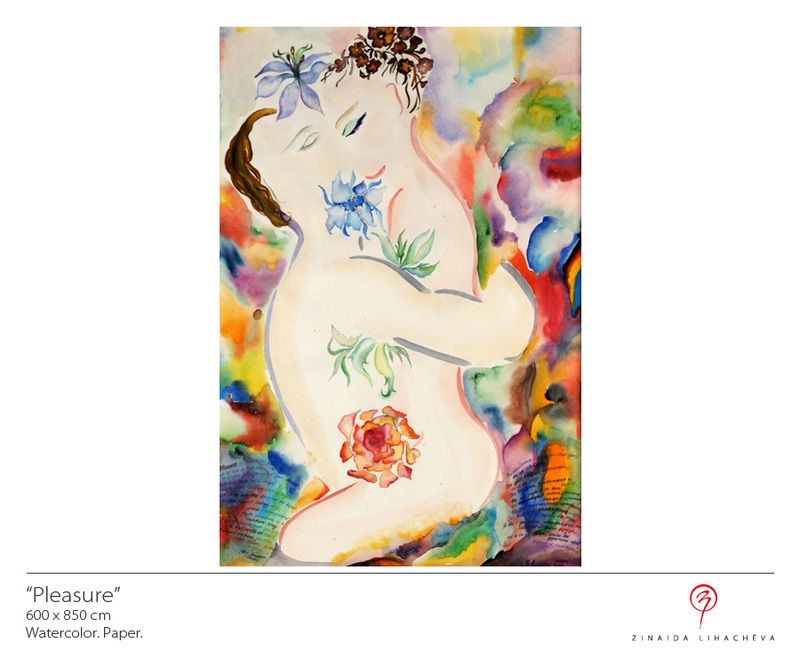 It reminds me of the brand Mother of Pearl created by Maia Norman, former partner of Damien Hirst. The company collaborates with different artists every season, re-inventing their work in elaborate prints on various fabrics. It’s a wearable piece of art, but suitable for daily life as you don’t always have to have an avant-garde style to pull it off.